Age UK Enfield provides activities, projects and services to promote independence and well-being in later life. Our mission is to ensure that people age well and enjoy later life making as many services and sources available to them in order to achieve this. AgeUK Enfield provides a key role in reducing isolation through its outreach services, day centre, befriending, and other activities. Amongst its 13 projects it offers a welcoming drop-in Info & Advice service, staffed by friendly staff and volunteers. The Enfield Citizens Advice Bureau aims to ensure that all citizens across the Borough have access to justice. All our staff (paid and volunteers) located at our offices in Ponders End work towards this cause. The list of our clients’ needs is wide ranging – housing, employment, finances, benefits etc. The CAB provides advice to the community, in all its diversity, to all its needs, to ensure that everyone is aware of the services and assistance available to them, whatever their age, gender, sexuality, ethnicity or immigration status, & whether they are disabled or not. We are members of the Enfield LGBT Network to demonstrate our availability to this community, and to keep informed of the issues which are of concern to LGBT people locally. The contact number is 020 8375 4170, available on Mon-Fri (10am – 4pm). Christian Action Housing is a community based Housing association based in the four North London Boroughs. Dazu is a registered charity, providing a range of recreational and educational activities for children and young people of all ages and all abilities. We have been running our programme for fifteen years and currently have a membership of approximately 600 local families. All classes are taught by experienced and fully qualified teachers and helpers. Concessionary and family rates can be offered to families who are unwaged or with more than one child attending a session. We aim to provide a supportive environment for children who are disabled or who have learning difficulties. Please contact us if your child has specific support needs that require consideration when participating in classes and courses. Enfield Children & Young Persons Services is an umbrella organisation with charitable status. 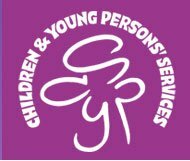 ECYPS provides advice and support to voluntary organisations working with children & young people aged 0-25 years.